This is another of the Excursions grabbed in the minds, for the quality of all, landscapes, visits, tastings and above all, people. It was March Protected content , you can search in this Discovering Catalonia group for more photos. This time the lunch will be the CALÇOTADA that the same Cellars offer. They will open for us on Sunday, as well as the Oil Visit and Taste. Here, like that time, I, or any of us, will translate, as it's the same producer owners from the land the one doing the Visit in catalan or spanish. Make a look at the PHOTOS. They are from each concrete place of the activities : From the Scala Dei Cellar that has won WINE INTERNATIONAL PRIZES to the OILS MILL farmers that make a very special oils tasting & "eating" too. I have avoided hanging photos of the group in case someone didn't liked to re-appear. - 12:30 CELLAR VISIT, WINE TASTING & CALÇOTADA LUNCH. Protected content We will be here until around 5pm. Important in prizes & quality, but preserving the authenticity, WINE CELLARS, they are young people who believe in the land. They will open for us in Sunday and will do english explanation. - Explaining the characteristics of Priorat, why this land gives so many good wines. - Go to the Cellar where we'll see how they produce the wine. Here we'll taste from the deposit directly. - After, we'll taste from the Barrels, a breeding barrel. 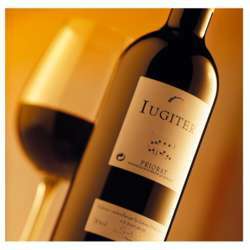 - Finally, the main Tasting will come with the 4 wines they produce. During the visit experience the evolution of the wines in different stages of vinification". 'What is CALÇOTS?' Make a look at this website written by a foreigner, Protected content …, Calçots, a Catalan Delicacy. Land FARMERS people who love what they do. Also, they will open for us again on Sunday. "We will compare olive oils with other oils from other regions. We would like our guests to finish the guided tasting with a clear idea about olive oil. It is not just a product used for cooking. It can be used to enrich dishes in an infinite number of ways. Arbequina and Rojal olive varieties. Our olive oils are particularly fruity, yet they are different from all other olive oils. Our olives come from our family-owned olive groves which have varying characteristics meaning that the finished olive oil is also different"
- A first raw tasting, explaining all about oil process. - Explanation of ecologic oils, different olives varieties, smells, and Tasting all the varieties with bread, and ... cheese, "secallona"/ kind of sausage. Arriving at around 20:30h, or slightily before, depending on the traffic. READ IT VERY CAREFULLY and please CANCEL asap if you are not sure, to help me with the organisation and allow if there are people in the waiting list. NOTICE that if somebody is not serious enough I will not allow to enrol to any other of my activities if they need to be pre-paid, as this is a big work and requires a lot of time and efforts. - Bus : 22 euros TO PREPAY before 15th of January. I confirm your booking number Protected content visit Cartoixa d’Escaladei on 20th January at 10:30. The guided tour will be in English and it will last 1:15 hours, approximately. Each entrance ticket will cost 3,00€ and the English guide will cost 81€, which you will have to divide among the total number of visitors. I will send your confirmation letter the week before your visit. I will finish filling prices and rest of the conditions, etc ... tomorrow when I've collected all the info. Reserves Monuments Generalitat de Catalunya"
Les Brugueres, La Conreria, Iugiter i Iugiter Selecció Vinyes Velles. Menu : Entrance pica-pica of Cheese, Olives from the land, Bread and Botifarra (cold pica-pica) with Siurana DO oil. - I will return the money if the activity is Cancelled for not arriving to the minimum of 22 persons 3 days before (restaurant requirements, oils tasting and Bus that needs to be pre-paid ). The maximum is 30. - Email me with your contact mobile number, and I will give you the banc account to pay, send me a proof of the payment. - Allow me 2 days to return the money if it had to be cancelled. I think that's all, notice I'm not a travel agency, I'm not responsible, I do for passion and enjoyment preparing it, doing and sharing it in this group. DISCLAIMER : under no circumstances the “Activity Organiser” shall assume responsibility for any damage occurring at InterNations activities. Nor is the “Activity Organiser” responsible for the behavior or actions of InterNations members or any other attendees during InterNations activities (like for instance, in case you get lost, have an accident, any injury, if you need to be rescued, etc.) . Everybody is at their own risk. By registering for the activity you are explicitly accepting the above disclaimer. Please, don't hesitate to contact me for any question or doubt you have.